Gap has a Friends & Family Event on now! 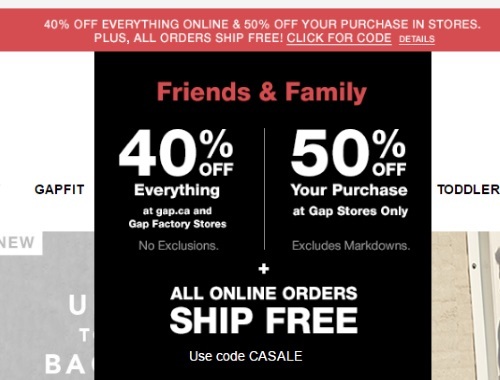 Save 40% off everything online and 50% off at Gap in-store! Also, all online orders ship for free! Enter the promo code CASALE at checkout. Offer is valid until March 27, 2017.